Add a pop of color to your themed dessert buffets with our new 3-Tier Party Cupcake Stand. Perfect for ultra-girly parties such as bridal showers, baby girl showers, little girl's birthday parties. 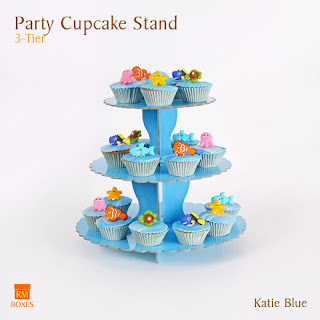 Ideal for little boy parties, baby boy showers. Also great for under-the-sea inspired parties such as the one featured here. 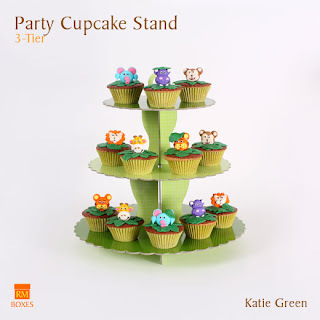 Great for parties with outdoorsy themes such as Safari, Farm, Camping, Hiking, Soccer, Baseball, etc. Each Party Cupcake Stand comes with beautifully coordinated double-sided reversible tiers. One side is a beautiful solid color, and the other a dainty cloisonne print in a lighter shade. You may opt to use the solid color or the lighter printed side or mix them up for a more casual look. 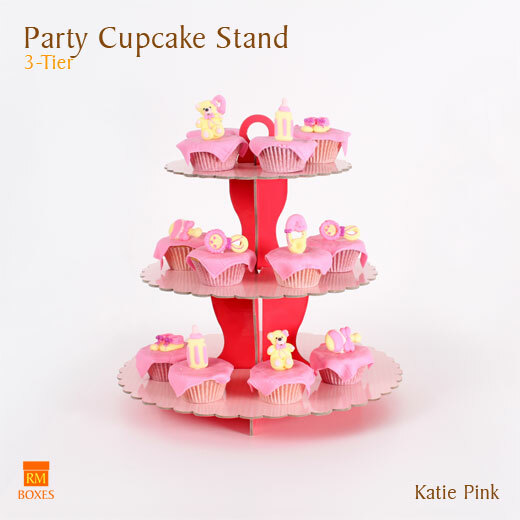 Creating a themed dessert buffet has never been more fun and exciting. 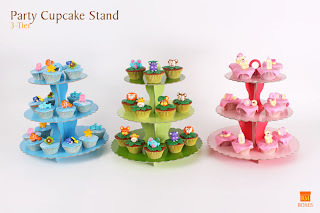 At just Php 198.00 per set, it has also never been more affordable. 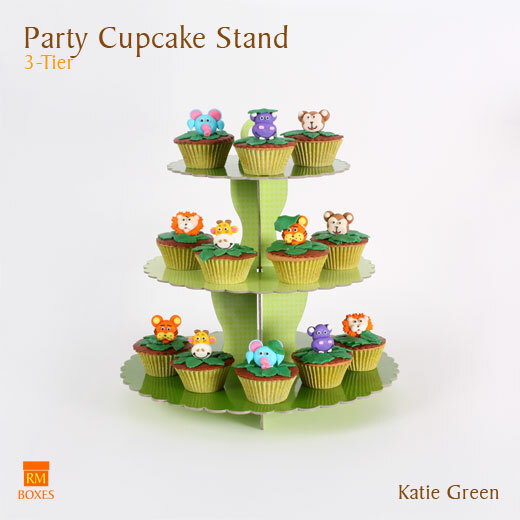 The 3-Tier Party Cupcake Stand is another quality product brought to you by RM Boxes under the RM Party Essentials Line. Proudly Philippine made.